When a young sei whale became stranded in the French town Le Havre in 1852, and by so suffered a painful death, the animal did not know that she would start an astonishing after-life career. The nearly 40-foot-long baby whale was discovered by locals by the beach, and somehow they managed to preserve the remains without even applying the traditional techniques of taxidermy. Instead of taking off the skin and putting it on a plaster model, they injected many liters of a secret chemical cocktail. 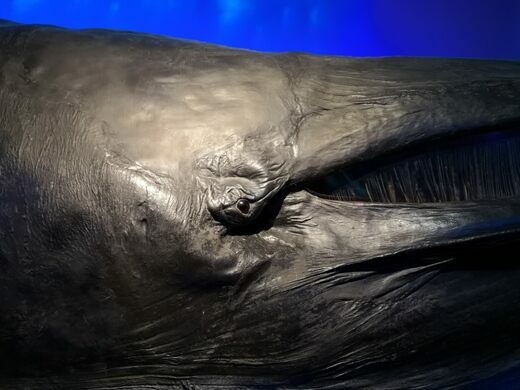 The ingredients are still unknown and the whale’s body, by now over 170 years old, remains incredibly well preserved. 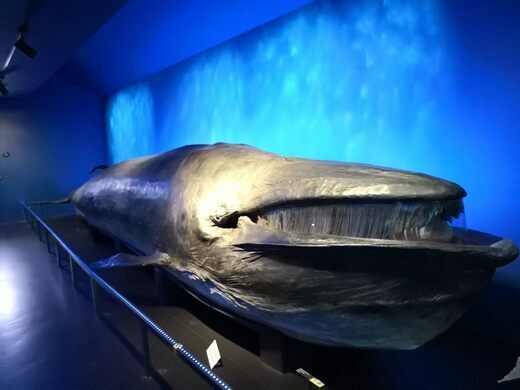 It is one of the only whale taxidermies on Earth made of real skin, as other specimens are usually based on artificial reproductions. 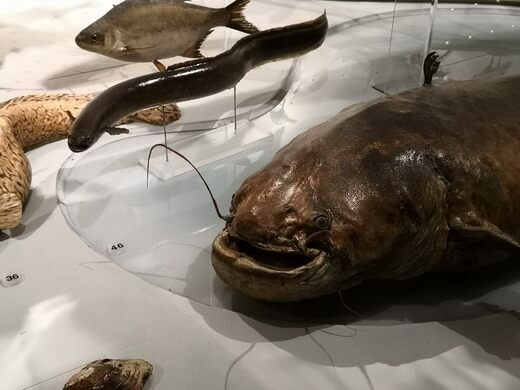 The colossal attraction was sold to a touring exhibition called Musée Maritime and was shown in several European cities, joined by a sperm whale skeleton. The sei whale, named “Marlene,” was the main attraction of the spectacular show. 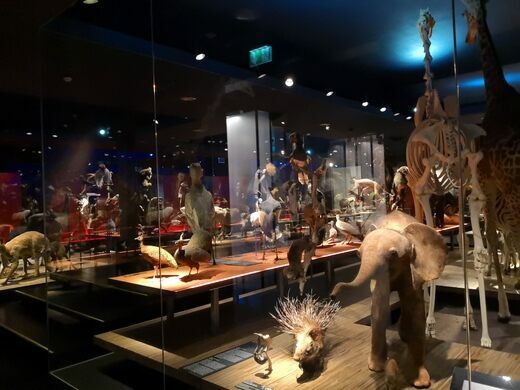 In 1881, the two whale preservations were shown in the Swiss town of Fribourg and made it to the newly opened Natural History Museum, where they have remained on display ever since (maybe in part because the exhibition workers were tired of transporting the bulky exhibits over and over again). 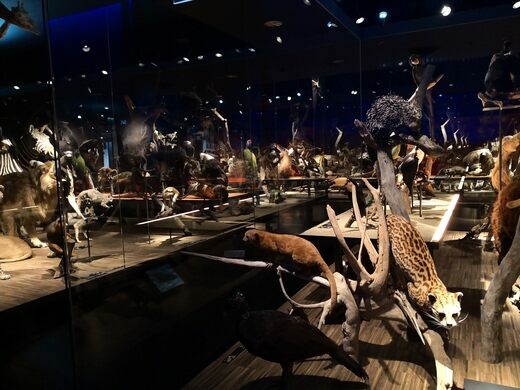 Besides the two whales, the Fribourg Natural History Museum hosts several stunning exhibition halls dedicated to paleontology, mineralogy, and geology, as well as local fauna dioramas and a large hall showing taxidermies and skeletons from animals all around the world. 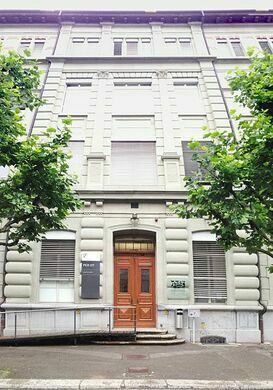 The museum is open daily from 2 p.m. through 6 p.m. Entry is free. What this Good Friday parade lacks in baroque filigree it makes up in somber gothic imagery. 150-year-old satirical tableaus made from stuffed frogs. Natural history museum displaying a famous taxidermied St. Bernard.